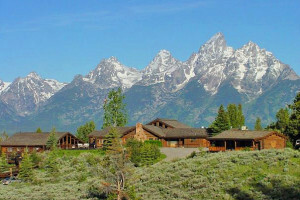 Headwaters Lodge and Cabins at Flagg Ranch are located north of Grand Teton National Park and just south of Yellowstone National Park in Wyoming. 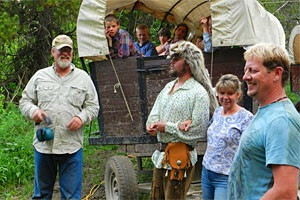 They provide log cabin accommodations on a working ranch with all the features of a Wild West environment. Cabins are reasonably priced, warm and provide excellent facilities. Book Online. Where are Headwaters Lodge and Cabins? Call 307-543-3100 or Book a Cabin Online. 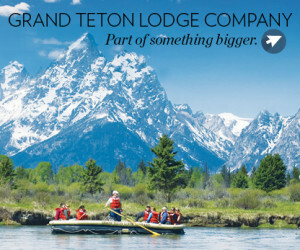 Tell me more about Headwaters Lodge and Cabins. 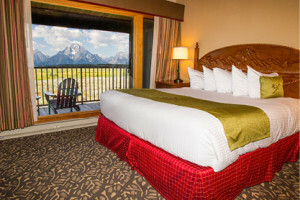 Amenities: Log cabin rooms have either 2 queens or 1 king bed. Rooms have phone, private bathroom, coffee maker, and patio. Tent and RV sites are available at the nearby campground. 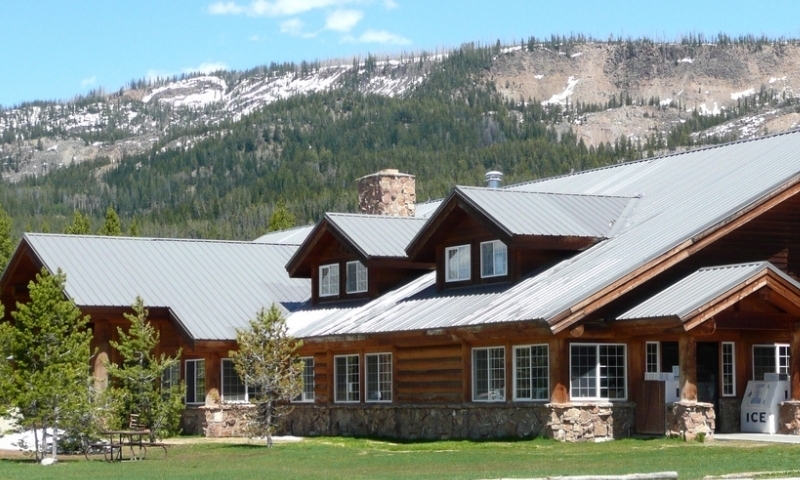 In the nearby Headwaters Lodge you'll find a fine dining restaurant, saloon, gift shop, and convenience store.